Crude oil is a fossil fuel, and is made up of a complex mixture of hydrocarbons. This mixture contains many useful compounds (in which carbon atoms are in chains or rings) that need to be separated using a process called fractional distillation. Crude oil can be described as a finite resource. Crude oil is found in rocks and is the remains of an ancient biomass consisting mainly of plankton that was buried in mud. A hydrocarbon is a chemical that contains hydrogen and carbon atoms only. Crude oil mostly contains hydrocarbons called alkanes. 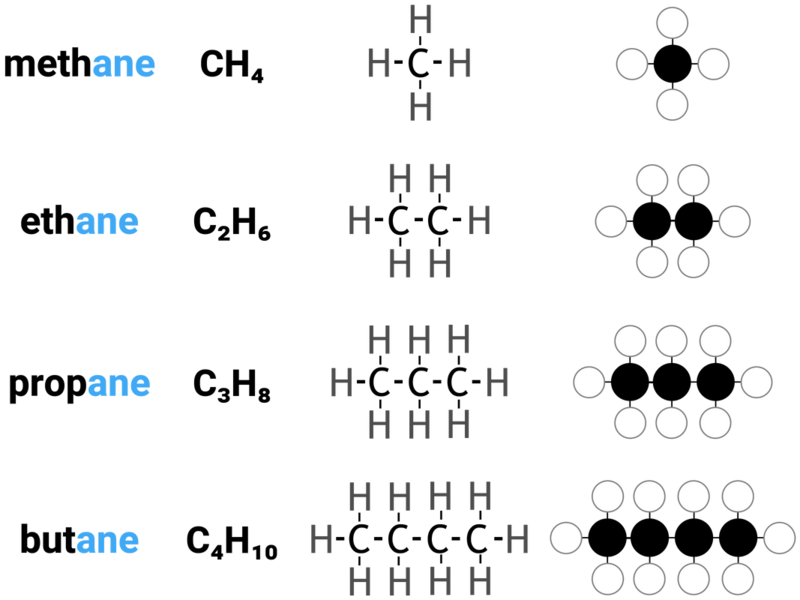 The hydrocarbon molecules in crude oil each have a different number of carbon atoms, and therefore have different chain lengths. Crude oil is an important source of useful substances. The chemicals it contains can be used as either fuels, or feedstock for the petrochemical industry. As the chain length of a hydrocarbon increases, the properties of the hydrocarbon change with it. 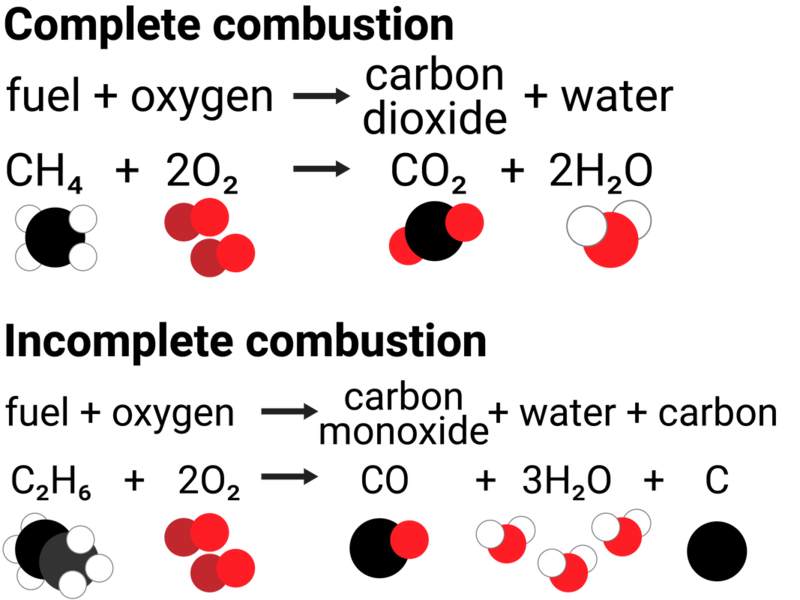 The reason the boiling point and viscosity increases is due to there are more intermolecular forces of attraction holding the chains together (more energy needed to break these apart). 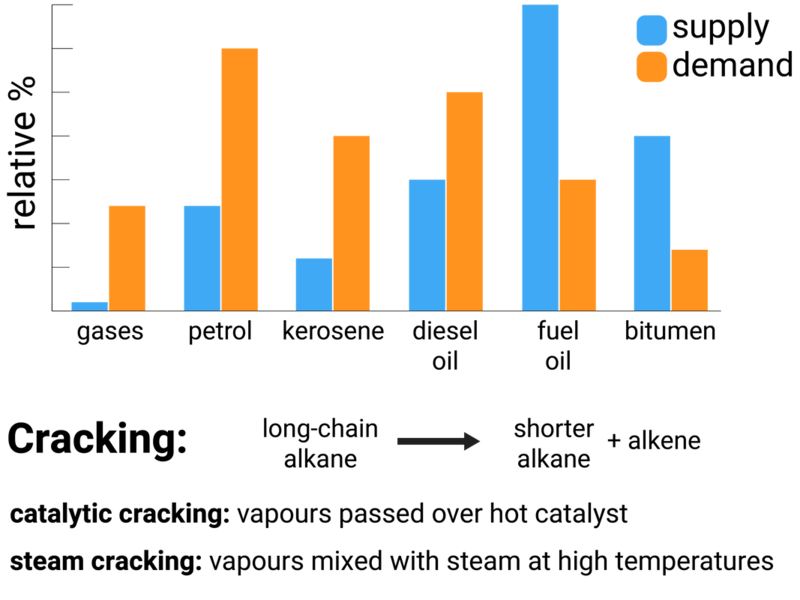 Fractional distillation is the process of taking a complex mixture of liquids (like crude oil) and separating it out into simpler, more useful mixtures. 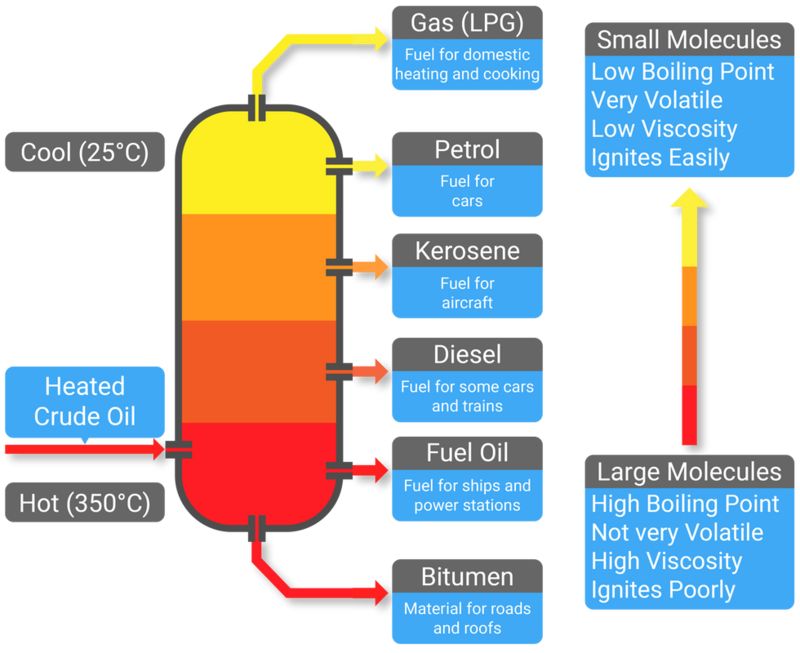 To separate the different hydrocarbons, the crude oil mixture must be passed through a fractionating column (also called a distillation column), and is first heated to vaporise the substances into a gas. This separating technique works as each of the chemicals has a specific boiling point, and once each gas has cooled to its specific boiling point - they will condense back into a liquid and can be collected. Each mixture that is collected from fractional distillation, is called a fraction. A fraction is a mixture of similar length hydrocarbon chains, with similar boiling points. Many useful materials on which modern life depends are produced by the petrochemical industry, such as solvents, lubricants, polymers, detergents. Because alkanes only contain single bonds between atoms, we describe them as saturated compounds. Think of when a sponge cannot hold any more water, it is "full". A saturated molecule can't fit any more single bonds into it. Alkanes can be considered "full". Petrol, kerosene and diesel oil are non-renewable fossil fuels obtained from crude oil. They are all mixtures of alkanes. Methane is a non-renewable fossil fuel found in natural gas. When fuels burn they are reacting with the oxygen in the air. If there is an abundance of air, then complete combustion will take place. This means carbon dioxide is produced. If they isn't enough air, then incomplete combustion happens and carbon monoxide is made. In both cases, we can say the carbon (and hydrogen) has been oxidised. Both of these types of combustion are exothermic processes, releasing energy. Incomplete combustion produces carbon monoxide, and carbon particulates, because there is not enough oxygen to fully form carbon dioxide. Some of the heavier hydrocarbons removed during fractional distillation aren't very useful. They are thick liquids with have very high boiling points, and they don't burn very easily. Cracking involves the breaking down of larger, saturated hydrocarbon molecules (alkanes) into smaller, more useful ones: an shorter saturated alkane, and an unsaturated alkene. Turning longer chain alkanes into shorter alkanes is extremely beneficial as the current world demand for short alkanes (such as petrol and diesel) is much higher than the supply of these molecules from fractional distillation. The process of cracking is a thermal decomposition. Large chain hydrocarbons are heated, and either passed over a hot catalyst or are reacted with steam. This breaks the large chained alkanes into a smaller alkane and alkene molecule. Adding bromine water to an alkene will turn the solution colourless (from yellow/orange). However, adding bromine water to alkanes will result in no colour change, and so this is a handy test to tell the difference between the two - as both alkanes and alkenes are often colourless liquids.